With nearby Brighton and Hove prices amongst some of the highest in the area, Shoreham offers a not-so-far from the city small-town experience, popular with surfers, paddle-boarders and windsurfers. Some would say that living there is like being on holiday all year round, and who wouldn’t want that? 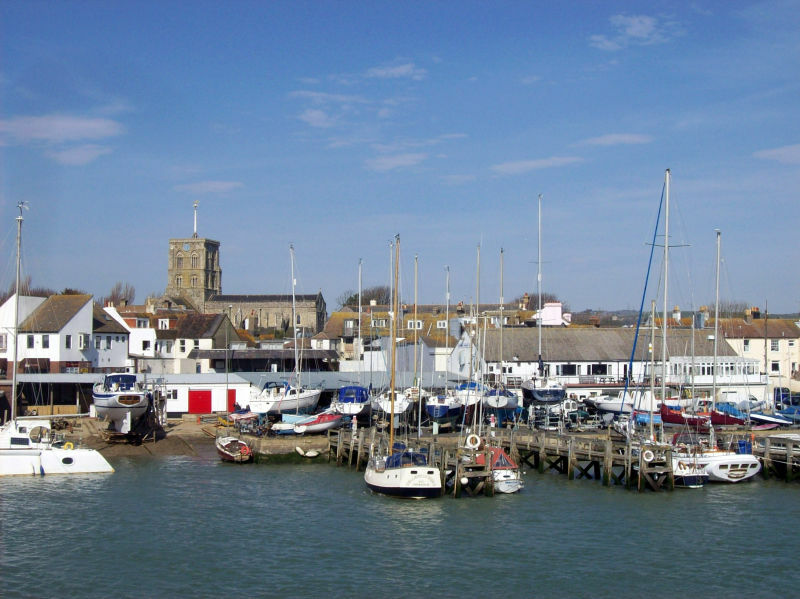 Here are our five great reasons to live in Shoreham-by-Sea. It’s safe to say that this coastal town has its own micro-culture. Shoreham is quite small, so after living there a while you’ll be sure to get know the friendly faces of the locals at all the cosy pubs and cafés. Ginger & Dobbs is a very popular café amongst the locals and is perfect if you’re looking for scrumptious food and a warm welcome. The Bridge Inn is a good traditional pub for relaxing by the waterside and enjoying sunny weather in the beer garden. Tarmount Studios is a hidden enclave of charming shops and cafés which offers something for everyone. Whether you’re looking for vintage clothing, retro gems or classic furniture, Tarmount Studios is the place to go for a day of retail therapy. On the high-street there are plenty of charity shops too, if you want to have a rummage for hidden vintage items. If you love to cook, then you have fresh fish caught straight from the sea available year-round at La Poissonnerie. If you need to shop for your new home there’s a selection of retail giants including Next, Dunelm Mill, B&Q and Marks & Spencer. Shoreham-by-Sea is the ideal location for those who want the seaside town experience without the expensive hustle and bustle of a busy city centre. It’s also in the perfect location for commuting, being only 10 minutes away from Brighton and on the South Coast Railway Line which stretches all the way to Southampton. Buses and trains run every half an hour, making travelling as easy as possible for the daily commuter. Popping to Brighton for a night out is no hassle at all. Shoreham boasts one of the most beautiful beaches in the South East and was even declared a Local Nature Reserve in 2006. Made up of shingles, pebbles and sand, it’s also covered with wild flowers, perfect for taking a stroll and ideal for keen photographers. If water sports are your thing, then you’ll be pleased to know that Shoreham beach is regularly used by windsurfers, paddle-boarders and kite surfers and there are several shops in town to kit you out. Whether you’re wanting to relax, hike or get wet, this beach is the one for you. If you want to venture inland a little then the houses run out at the north of Shoreham and there is plenty of green space and countryside running along the River Adur which is ideal for walks and picnics. The Ropetackle Arts Centre is an award-winning arts venue run entirely by the local community of Shoreham and we are very proud to have recently sponsored the venue. Ropetackle attracts some of the best performing arts events in the UK and is a fantastic night out at a reasonable price and also a great venue for party hire. Why go to Brighton when you can enjoy a fun night out in Shoreham for a fraction of the price? When The Waterfront development launches this summer, you’ll be able to see our show home apartment and see for yourself how easy it is to walk home from a Ropetackle gig. If you’re looking to move to Shoreham-by-Sea and want some advice on the best areas to rent or buy in, or are thinking of letting or selling your property, please contact Nick Williams and our team at the Shoreham Branch on 01273 661577.